China’s new national security law is vague, but it’s precisely the kind of legal wallpaper Xi Jinping needs. The National People’s Congress (NPC) Standing Committee, China’s national legislature, announced Wednesday morning that a controversial and broad national security law had passed. The law will go into effect across the People’s Republic, but will exclude the Special Administration Regions of Hong Kong and Macau. The new law will affect almost every domain of public life in China—the law’s mandate covers politics, the military, finance, religion, cyberspace, and even ideology and religion. According to Chinese officials, the new law passed in the NPC with 154 votes in favor, none against, and a single abstention. The national security law is the first of an expected three; the NPC is expected to pass another law regulating foreign non-governmental organizations (NGOs) and another on counterterrorism. The law underlines the centrality of the authority of the Chinese Communist Party (CCP) which will lead a “a centralized, efficient and authoritative national security leadership system.” According to the South China Morning Post, the law stops short of delineating a role for China’s relatively new National Security Commission which was one of the outcomes of China’s most recent Third Plenum in November 2013. That Commission is led by Chinese President Xi Jinping who continues to consolidate power within the party and has made countering corruption and domestic terrorism a priority. Overall, while the national security law is certainly broad in its scope—emphasizing that China must defend its national security interests everywhere, including outer space and the polar ice caps—its breadth isn’t augmented by particular detail about how specifically the Party will move to achieve these ambitious security goals. In fact, most Chinese legal experts see this initial national security law as a “more abstract statement of principles, aimed at exhorting all Chinese citizens and agencies to be vigilant about threats to the party,” as the New York Times put it. What is notable about the law is that it will effectively grant the National Security Commission, led by Xi, oversight of China’s national security across a range of domains. Xi already enjoys expansive authority as the President of the PRC, the general secretary of the CCP, the chairman of the Central Military Commission, and as the head of numerous other councils, commissions, and leading groups. 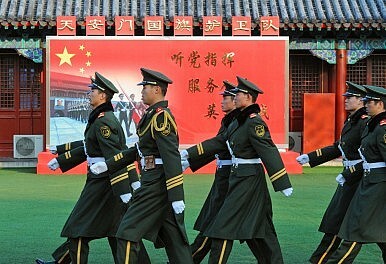 Zheng Shuna, deputy director of the NPC’s legislative affairs commission, remarked that the law was in part necessitated by China’s “increasingly grim” security situation, which was now “more complicated than at any other time in history.” The Party seems to be coalescing national security authority around Xi as an acknowledgment that centralized authority is both in the best interest of the Party and the country. Beyond this national security law, matters may get a lot worse in China—especially for foreign NGOs and businesses. As I wrote previously in The Diplomat, the cybersecurity provisions of the looming counter-terrorism law are particularly chilling to foreign businesses operating in China, particularly technology companies that deal directly with the personal data Chinese citizens. Already, the NPC’s national security law calls for all key cyber infrastructure within the country to be “secure and controllable,” which in itself presages a broader crackdown on how digital information exists in the country and how it leaves Chinese borders (cyber sovereignty is very much in vogue in Beijing these days). Once the counter-terrorism law is passed, foreign firms in China could find themselves faced with Hobson’s choice: give up access to any critical data stored on Chinese soil or leave China altogether. The law regulating foreign NGOs could also have chilling effects on the ability of those organizations to operate effectively within China. The new national security law, while vague and expansive, should also be read in the context of China’s renewed commitment to establishing “rule of law” under the party (or rather, “rule by law”). Xi, for all his consolidated power, wants to have some sort of legal wallpaper as he heads into uncharted waters in China’s political development: China’s economy is shifting from an investment-driven to a more mature demand-driven paradigm as growth rates drop; China’s military is is thinking about its global role as tensions with neighbors grow; terrorism in China looks like a long-term problem. A vague and all-encompassing national security law gives Xi a broad toolkit to flexibly manage the Party’s fortunes and stability as China changes to adapt to a range of contemporary challenges. At a "democratic life meeting" in Beijing, the Chinese president spoke in various ways of struggling.